Today we continue our survey of the 16 distinct "entity" types depicted in the MUFON Field Investigator's Manual by MUFON's own official Staff Artist. As you may recall from yesterday's post, these illustrations are for the MUFON Field Investigator to use when investigating a UFO incident involving an alien encounter. The theory is that the entity in question will match up with one of these 16 'types' and the Field Investigator's job will be done! Looking at this group, one has to wonder what the MUFON Staff Artist was using as his guide. I mean, I get that G is probably a Reptoid, although it is pretty short and has a kind of a Chipmonkoid face, so I can't be completely sure. 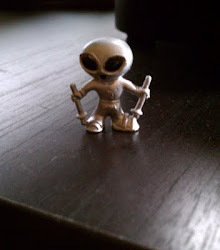 And F seems to be yet another variation on the alien "grey" theme, but with an unfortunate skin condition. Entities H1 and H2 are the scariest of the lot, and yet, ironically, they appear the most human! Trouble is, they look Stone Age human, and if a witness picked these entities out of the lineup I would not consider it a positive development. 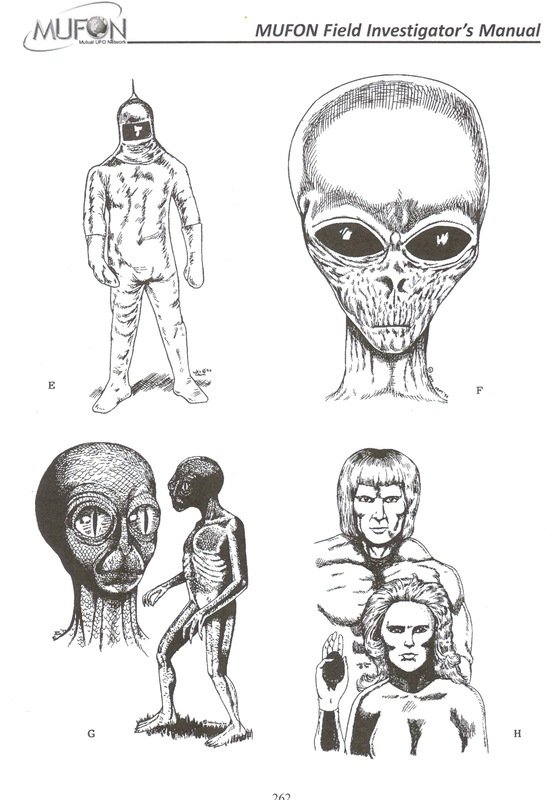 Miraculously, the editors of the MUFON Field Investigator's Manual seem to have sensed that these 16 illustrations may not always fit the bill, so they have made allowances for creating an entity type 17 at the witness' discretion. Under the "additional comments" section of the entity encounter report form, the Field Investigator is encouraged to "give a brief statement of (the entity's) physical appearance, such as: animal-like; insect; robot; ghost-like: shadow-like; angelic; ghoulish; hideous; semi-invisible, etc." As usual, it takes MUFON about three seconds to go from desperately serious to hopelessly silly. 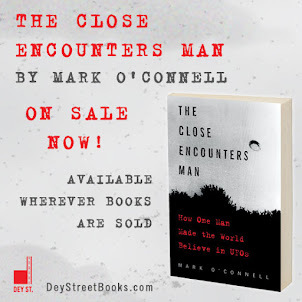 If you don't believe me, wait til we review the illustrations for entities I, J, K and L. I don't want to give anything away, so all I'll say is "Bigfoot's coming."